Michael McKenna started "The Mike" Golf Invitational to raise money for the New England Center for Children, whIich his son Mike attends. A series of Silver Age Yoga classes will be held in Kingston on Tuesdays from Sept. 25 to Nov. 6, from 3:30 to 4:30 p.m., at the Adams Center, 33 Summer St. Sometimes referred to as “chair yoga,” the classes taught by Suzanne Staples of Bridge to Presence provide the benefits of traditional yoga — flexibility, strength, and guided meditation — from the comfort and safety of a chair. All levels of fitness and flexibility are invited to join. A donation of $5 to $10 per class is recommended to help fund technology at the library. Call 781-585-0517 to register. Hingham service members, veterans, and families are invited to shed a light on imprisoned and missing service members at Hingham Harbor on Friday, Sept. 21, at 6:30 p.m. The annual candlelight vigil will recognize soldiers that are Prisoners of War and Missing in Action on National POW/MIA Recognition Day. Volunteers will distribute glow-sticks, but participants are welcome to bring their own luminaries. The public is welcome. A golf tournament hosted by a Norwell-based brokerage company raised over $87,000 for the New England Center for Children, an autism education and research institute in Southborough. 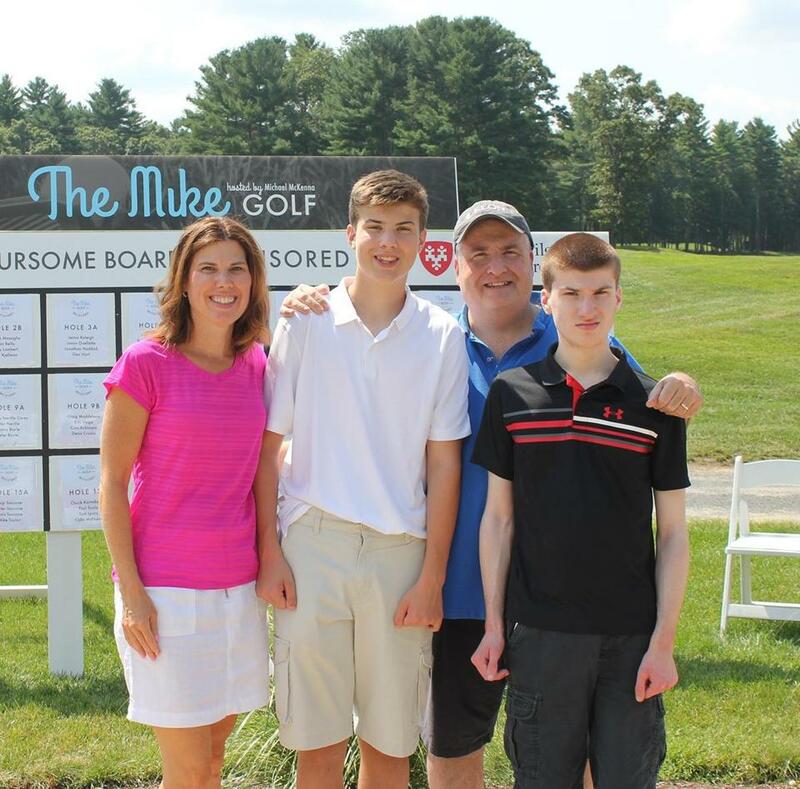 “The Mike” Golf Invitational at Indian Pond Country Club in Kingston was founded by Michael McKenna, president of Comprehensive Benefit Administrators, and his wife, Lori. Their son Mike was diagnosed with autism as an infant and has been a student at the school for 12 years. More than 140 golfers attended the 10th annual tournament, bringing the total funds raised to about $625,000. Journalist Ted Reinstein will give a free talk about the historical significance of general stores and their resurgence as inviting community centers. Reinstein has been a reporter for “Chronicle” on WCVB-TV since 1997. On Monday, Sept. 17, at 6:30 p.m., Mansfield Public Library will host Reinstein as he discusses his new book, “New England’s General Stores: Exploring an American Classic.” Register at mansfieldlibraryma.com or call 508-261-7380. Brunch and big band jazz will kick off the South Shore Conservatory’s Jazz/Rock/Pop Series on Sunday, Sept. 23, with a concert and jazz brunch at 1 Conservatory Drive in Hingham. The buffet-style brunch begins at 11 a.m. and features live music by the Blues Trio. The concert begins at 1 p.m., when music from the 1930s and 1940s will be played, along with pieces by Duke Ellington, Artie Shaw, and Aretha Franklin. Tickets for the brunch are $40 for adults, $20 for children. Tickets for the concert are $20 for adults, $10 for students; children under 3 and South Shore Conservatory students may attend for free. A combined ticket for both events costs $50. The brunch and concert are the first two events of a total of eight Jazz/Rock/Pop Series events. Visit sscmusic.org or call 781-421-6162, ext. 204. The Arthur Miller classic, “The Crucible,” will be shown at the Marilyn Rodman Performing Arts Center in Foxborough by Roundabout Productions on Friday, Sept. 21 at 8 p.m.; Saturday, Sept. 22 at 2 p.m. and 8 p.m.; and Sunday, Sept 23 at 2 p.m., at 1 School St. Advanced tickets for adults are $12, $10 for children, veterans, students, and seniors. At the door, tickets for adults are $15, and $12 for children, veterans, students, and seniors. A special performance for middle and high school students will take place at 10 a.m., Thursday, Sept. 20; tickets are $10. Call 508-543-2787 or visit orpheum.org.